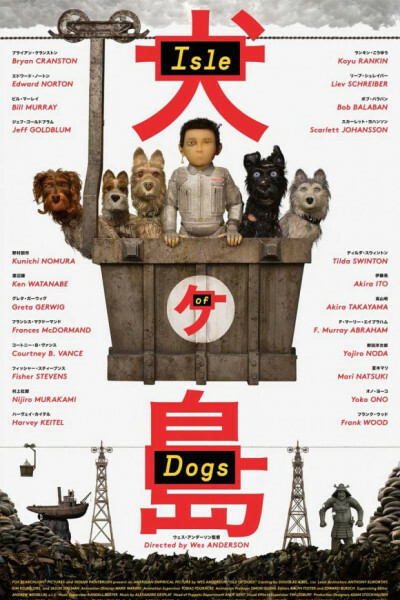 It's a really amazing feat, and I love me some Wes Anderson (and Japanese culture! )...but after a while, it grows tiresome. I mean, I like magic, too, but I don't want to watch it for two painstaking hours! At 8.3 on IMDB, I know I'm alone in this (because clearly everyone else seems to really, really love it), and wow—is it fascinating. But after 90 minutes or so, I just got bored. Alas, it is remarkable. So...props for that. Can you imagine the tedium of creation? The months and years of toiling? Goodness. Major respect. So much detail. But if you're in the mood for Anderson, do try The Grand Budapest Hotel or The Life Aquatic with Steve Zissou, too. For they, my friend, are magical.